125 Cabin Cove Road Anderson, SC. | MLS# 20205909 | Lake Hartwell real estate homes and lots for sale. Real estate agents offering expert knowledge of Lake Hartwell. Licensed in both South Carolina and Georgia to sell Lake Hartwell Property. Anderson, Clemson, Lavonia, Hartwell, Seneca, Toccoa, Martin. Location, location, location! This deep water property is conveniently located 7 miles from Clemson University and only 2 miles from Portman Marina by water. 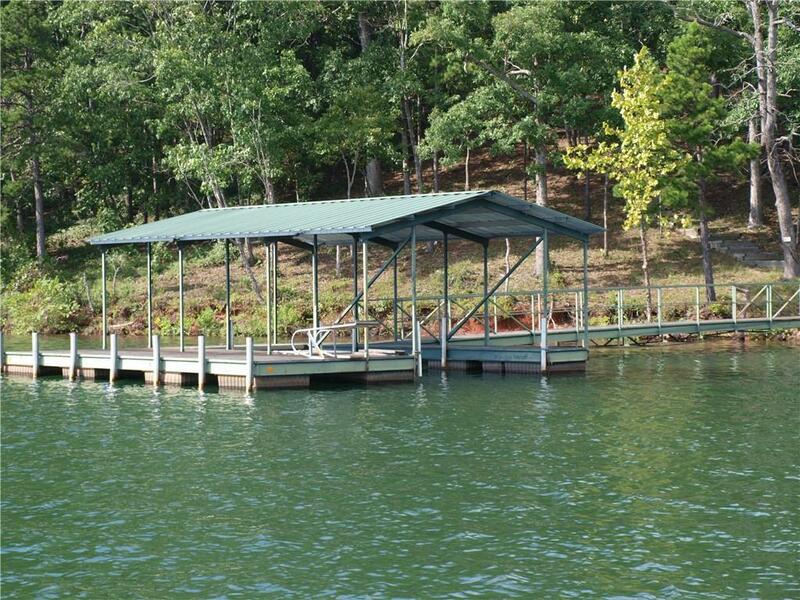 The covered slip dock is currently sitting in 22 feet of water and boasts endless views of the lake. Sit on your dock and fish any time as the owner states this is an excellent fishing hole for catching bass and striper! The land has been partially cleared, electric and water are already in place and septic permit is on file with DHEC - this property is READY TO BUILD! Very private location at the end of the road and unrestricted! This is a must see property and will not last long at this price!